The Viking dagger or called the seax, or sax, was the universally carried knife in Northern Europe. 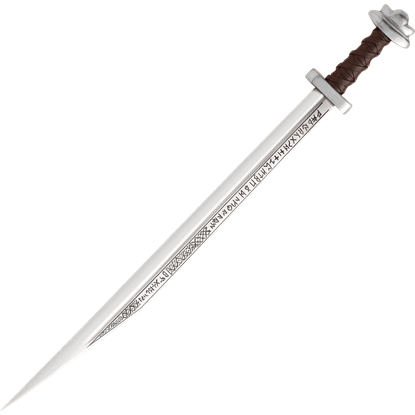 The Viking dagger was carried and used by the Saxons, Angles, Vikings and Germanic tribes. Viking Daggers, use probably dated before the fall of Rome and continues on into the early Middle Ages. 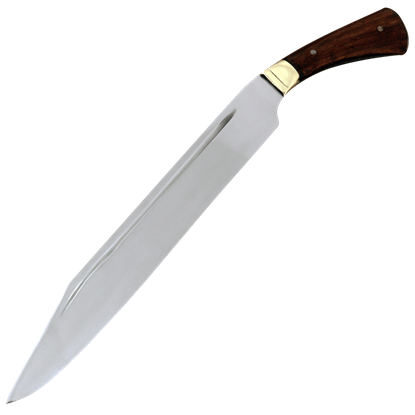 From small knives with 3-4 inch blades to actual swords with blades of 27-28 inches and always single-edged, the profile of the seax varied a great deal. The original version of this large knife served from camp work to cutting work, on shipboard, and for fighting if a sword or axe was not available. 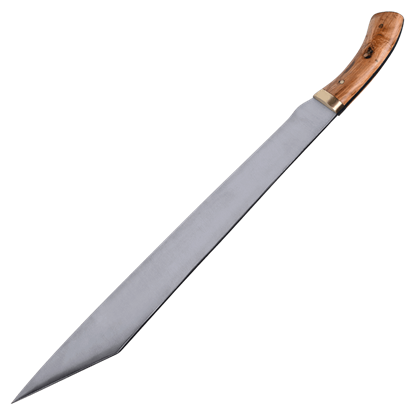 Based upon a tenth century weapon found in London in the nineteenth century, the Anglo-Saxon Seax is a stunning replica of a multifunctional weapon from centuries ago. 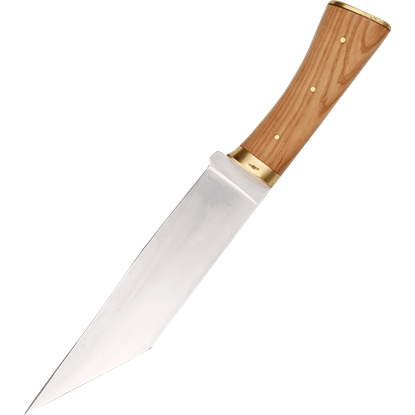 Bring a historical appeal into your home with this seax. Vikings found uses for weapons of every size, as they had a number of tasks to accomplish at any given time. 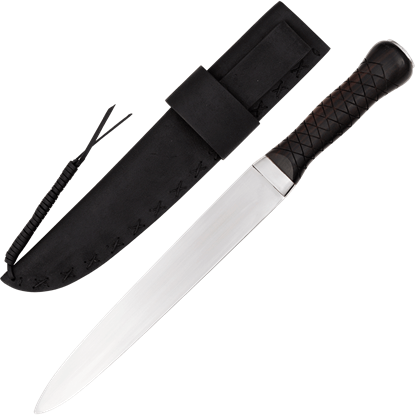 The Bone Handled Viking Utility Dagger is a tool fit for a Norse warrior of unmatched stature and barbaric strength. Some Vikings were fond of prestige weapons, those being ornate pieces that were as much signs of rank as anything else. This Decorated Viking Scramasax is one such piece with fine detailing, made out of a typical Viking knife. If there is one thing to be learned by observing Viking weaponry, it is that the Vikings loved large blades. This Horn Handled Viking Sax is a broad knife, although given its length this blade is basically a Viking short sword. While the seax was the basic Viking utility knife, more decorative versions of the dagger, like this Lobed Pommel Viking Seax, were often used among these Norse warriors for ceremonial purposes or to show prestige among themselves. 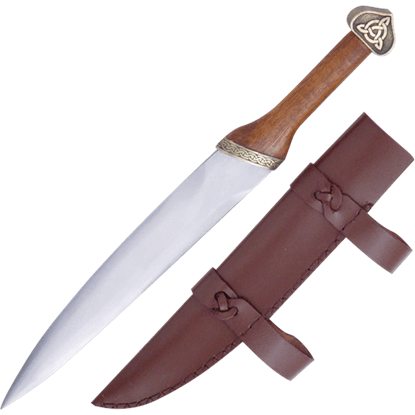 The seax, also known by several other names including scramasax and simply sax, was a type of Germanic knife that was the common sidearm of a Viking. 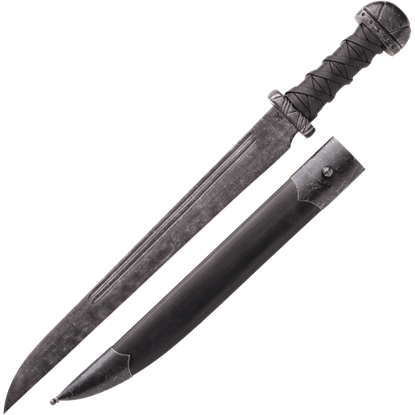 This Lombard Seax is based upon a 6th century version of this Viking Age weapon. With its striking appearance, the Maldon Viking Seax serves as a fantastic historical sword replica. 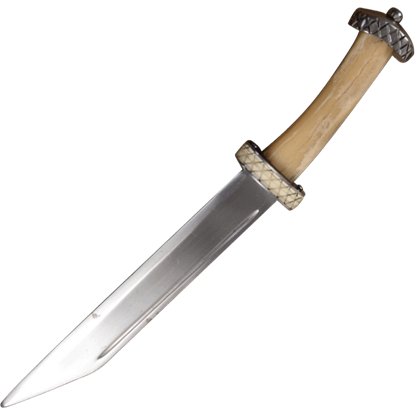 A design popular among Germanic and Anglo-Saxon peoples, the Norse seax makes a great weapon for collecting or putting to work. 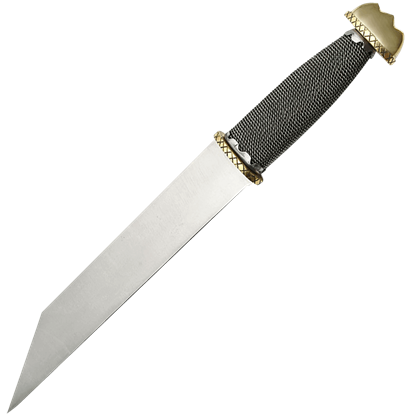 A good dagger is a must for any warrior, especially since they are so handy to have when you head into battle. 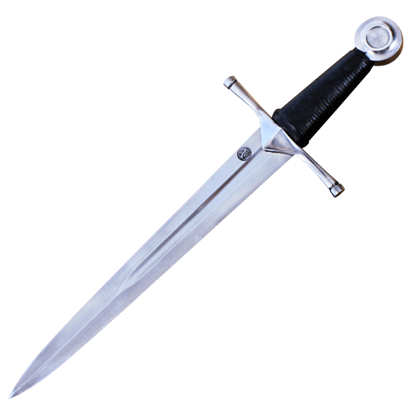 Besides, you never know when a blade like this Norman Dagger might save your life, so it is good to always have one ready. 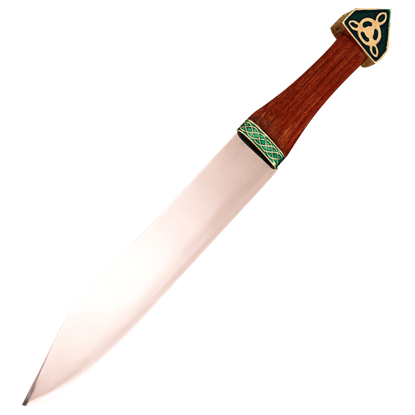 Back by popular demand from Windlass Steelcrafts is this Runic Long Seax. 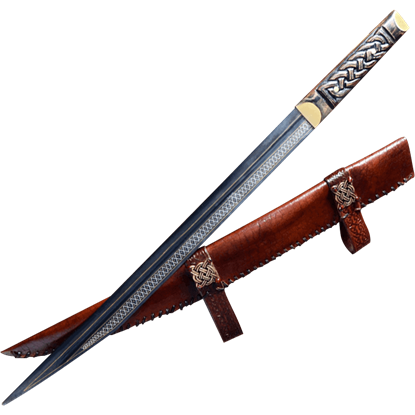 The runic alphabet is etched across its blade. The Vikings believed runes possessed magical power and often inscribed them onto weapons to increase power. The Saxon Scramasax was the typical sidearm of Saxons and Vikings between the 4th and 10th centuries. Thanks to its long and heavy duty blade, the scramasax was ideal as both a close quarters weapon and a tool to use for everyday tasks.